Light is composed of mass-less particles (photons) moving at a high speed (300,000,000 metres per second). In one millionth of a second (1 microsecond) light travels 300 metres or roughly 1 foot per nanosecond. The energy carried by these particles determines their colour (wavelength). We see wavelengths between 400 and 700 nanometers, although the sensitivity of the eye is poor at these limits and more sensitive to the mid-range wavelengths. Most light sources produce a mixture of wavelengths, that we interpret as a particular colour. Visible light is a tiny section of the electromagnetic spectrum. Different mixtures of wavelengths can produce a perception of identical colours. Yellow light is seen at a wavelength of 590 nm or with a mixture of green and red light. White light is usually a mixture of all wavelengths from blue to red, but a similar sensation may be produced from a line spectrum of blue, green and red light. Most people can not discern a line spectrum from a continuous spectrum, but colours often look odd under the narrow band spectra of fluorescent lights. Light intensity is often mis-understood because of the adaptability of the human eye to a range of lighting conditions. A typical well-lit office environment has about 2000 lux at desk-top level. By contrast, direct sunlight provides at least 8000 lux, more in the tropics where many cacti and succulents originate. You can measure and compare illuminance of a surface using a light meter located on the surface. A light meter designed for photography can be used to compare light levels even though it is not calibrated in absolute units. Colour temperature is a method of expressing the colour quality of a light source, using as a reference the light emission of a perfect black body at the stated temperature. The higher the colour temperature, the greater the relative light intensity at the blue end of the spectrum compared with that at the red end. Plants need both red and blue light for photosynthesis. Red light is very important to plant reproduction. Phytochrome pigments absorb the red and far red portions of the light spectrum and regulate seed germination, root development, tuber and bulb formation, dormancy, flowering and fruit production. Therefore, red light is essential for stimulation of flowering and fruiting. Blue light stimulates Chlorophyll production more than any other colour, encouraging thick leaves, strong stems and compact vegetative growth. 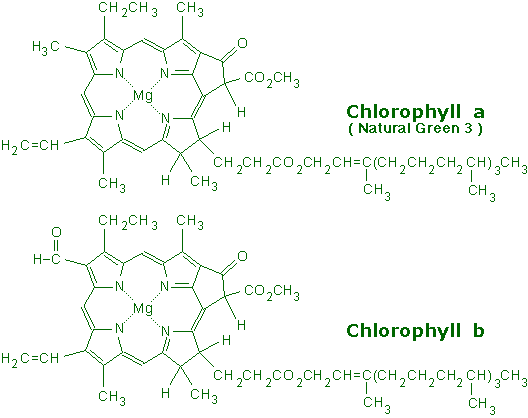 Chlorophyll absorbs blue and red light and transmits the energy to a pigment-based electron transport chain. The energy is ultimately used to produce high-energy chemical bonds that can be used for a range of biochemical transformations, including fixation of carbon-dioxide into sugars. Carotenoids, the yellow-orange pigment in plants, absorb blue light and control leaf fall and fruit ripening. Riboflavin (Vitamin B2) absorbs violet light and influences "phototropism", the movement of plant foliage in response to light. Green light is not used or absorbed, which is why most foliage looks green in sunlight. However, succulent plants are frequently seen with foliage of a variety of other colours from shades of red, brown, purple through to black. These colours are caused by other pigments such as betacyanins and anthocyanins produced in response to environmental stress, as a mechanism for filtering intense sunlight or as the endpoint of selective breeding of desirable cultivars. These pigments are incidental to photosynthesis, but may well only be produced in plants grown in the strongest light especially with a high blue and ultraviolet content. Lumen: The most common measurement of light output (or luminous flux) used to label light sources as a measure of their total light output. Footcandle: light intensity or illuminance defined as the amount of light received by 1 square foot of a surface that is 1 foot from a point source of light equivalent to one standardised candle. Lux: the metric unit of illuminance of a surface. Efficacy or efficiency: light output divided by power input expressed as lumens per Watt. Watt: the rate of use of energy by a device; unrelated to the light output of dissimilar lamps; useful for comparing similar lamps. The energy used by a device is expressed as watts (or kilowatts) per hour. Sunlight colour temperature of about 6000°K is the best type of light that you can give your succulent plants for healthy growth, good leaf colour and flowering. Plants have evolved and adapted to the natural light found in their habitat. The quality, intensity and duration of the light in a plant's habitat provides a baseline for the provision of artificial light supplements in other climates. Natural sunlight has the great advantage of being free, and generates no greenhouse gases. Fortunately, our atmosphere filters out much of the dangerous radiation from our natural fusion reactor in the sky. However, the quantity, and to some extent quality, of sunlight on offer depends on the vagaries of climate, lattitude and time of year. Day length affects the initiation of flowering for many succulent plants such as Christmas Cacti, but is out of the grower's control unless supplemental lighting or light exclusion is used. Another negative aspect of sunlight is that a sudden burst of sunshine after the dark winter months can lead to scorch and scarring of plant bodies. This can largely be obviated by good ventilation and timely use of shading. Atmospheric filtering removes the bluer components of the spectrum, so sunlight becomes yellower as one moves away from the poles and at the beginning and end of the day as the light has to travel through a greater thickness of atmosphere to reach the ground. Glass or plastic glazing may reduce light intensity, especially at the ultraviolet end of the spectrum. The best horticultural glass transmits significantly more light than ordinary window glass, but this advantage will be reduced if it is not kept scrupulously clean. Tungsten filament incandescent lamps, the commonest domestic type of lamp produce yellowish-white light light with a colour temperature of 2750 - 2850°K by using electricity to heat a small coiled tungsten metal wire to a high temperature within a glass "bulb" filled with special gases. Incandescent bulbs produce a broad spectrum of light (including a lot of infrared) and can be made with a high maximum light output. 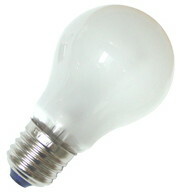 The bulbs are cheap but a relatively inefficient method of lighting and unsuitable for high intensity lighting of large areas. Plant growth is "soft" and elongated. Quartz halogen lamps produce a clean white light, at a colour temperature of about 3500°K, extending into the blue and ultraviolet part of the spectrum which is moderately hazardous to eyes and skin during prolonged exposure. There is also considerable production of infra-red in the form of radiant heat which, at close range, may scorch foliage and other delicate materials. It is inadvisable to stare at unfiltered quartz halogen lamps as their high filament brightness, heat and ultraviolet emission may cause irreversible eye-damage. 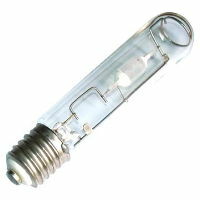 Quartz halogen lamps are relatively cheap and require no special starter circuits. However, although their higher filament temperature makes them more efficient than ordinary tungsten filament lamps, they are relatively expensive to run compared with the modern discharge lamps mentioned below, and unsuitable for high intensity lighting of large areas. Compact filaments makes it easy to focus quartz halogen lamps onto a small area, and they are used for "feature lighting", sometimes via fibre-optic light guides which remove most of the infra-red (heat) output. Metal Halide (HID) lamps produce an intense bluish-white light, at a colour temperature of 5000-6500°K similar to sunlight, from an arc discharge between electrodes within a quartz capsule filled with special chemicals and are one of the most efficient ways of lighting large areas. The compact nature of the arc makes it easy to focus the light on a specific area. Plants grow well with compact growth under this light, but it lacks the red required for flowering. Lamps producing an enhanced orange-red output similar to a 3000°K source are available. Special starter circuits are required. Check that lamps will operate in a horizonal position if this is required. Sodium vapour lamps, often used for street lighting, produce almost monochromatic yellow light at 589nm from a low pressure discharge in Sodium vapour. These lamps are efficient but lack of red and blue wavelengths make them less suitable for plant growth, although some growers claim that their plants flower well under them. Special starter circuits are required. High pressure sodium lamps produce an intense pinkish-white light with a colour temperature of 2050°K from an arc discharge in high pressure sodium vapour and are an efficient way of lighting large areas. Succulent plants grow well under this light, but the colour cast may reduce acceptability for decorative illumination. The standard lamps are said to encourage production of flowers and fruit. Versions producing more blue light are available to promote compact vegetative growth, but this is not needed if the lamps are used to augment natural daylight which provides sufficient blue light.. Special starter circuits are required. Check that lamps will operate in a horizonal position if this is required. Combined use of metal halide and high pressure sodium can be used as the emission spectra of the lamps compliment each other and promote normal plant growth. Fluorescent tubes rely on a low-pressure discharge in a mixture of argon and mercury vapour to produce a line spectrum. Ultraviolet light from the discharge excites the phosphor coating on the inside of the glass envelope. Tubes coated with phosphors designed to emit warm white 2700 - 3000°K, cool white 4100 - 4300°K or "daylight" 5000K to 6350°K light are available as well as specialised phosphors designed for optimal use with plants or fish tanks. Fluorescent tubes are moderately efficient to run and suitable for use in a small growing space as the tubes run just warm to the touch. Special starter circuits are required but these are freely available in hardware stores. Light Emitting Diodes (LED's) LEDs are semiconductor "chips" that convert electrical energy directly into light. An LED is called a solid-state light source because it has no gas or liquid components, as do other lamps. The LED chip is typically mounted on a solid base that can dissipate heat and embedded in clear plastic shaped to focus the light. LEDs are efficient light emitters, available in a wide range of colours. White LED's are really blue LED chips coated in green and red-emitting phosphors which can be adjusted to produce a cool or warm white output, as with fluorescent tubes. Because of energy losses in the wavelength conversion by the phosphor, white LEDs are less efficient than single colour LEDs. In fact, white LEDs are not necessary for plant growth and satisfactory results can be obtained with arrays of blue and red LEDs. While the resulting mauve light is fine for growing the plants, it is unsuitable for viewing a display. LEDs are power-efficient, resistant to impact and vibration, and can provide variable lumen output, but they are currently limited to a much lower maximum light output than tungsten halide lamps and HID lamps. LEDs are also relatively electrically fragile compared with other types of lamp, must be connected with correct electrical polarity and do not tolerate excessive reverse voltage. 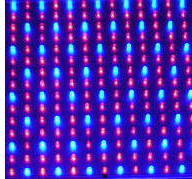 LEDs are becoming available with very high light outputs and ready-built arrays of lower power blue and red LEDs are available. A skilled electrician could assemble his own. As the prices of LEDs fall they will become more cost effective for illuminating growing spaces or for spotlighting individual plants. LED's produce very little heat so will not scorch foliage. Ultraviolet LEDs are becoming available and could conceivably be added to banks of LEDs to simulate intense sunlight and develop the strikingly coloured foliage seen in succulent plants from the tropics and high mountains.